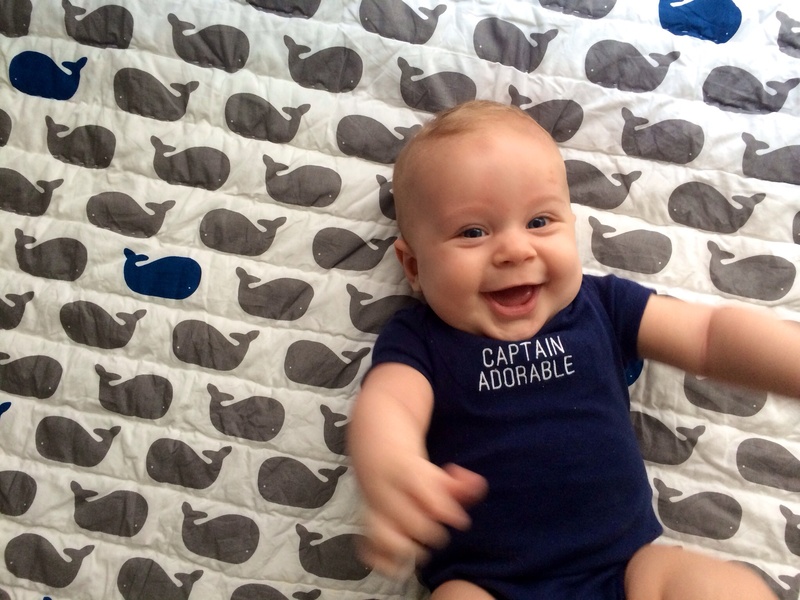 Kristian and I love to refer to our little buddy as Captain Caleb (in honor of his initials CAP). Between this nickname and our condo’s close proximity to the beach, we thought a nautical theme would be fun. With the help of a few DIY projects, personal photography, family heirlooms and store bought “booty”, I think we are on our way to a quarters that Cap’n Jack Sparrow would be proud of. 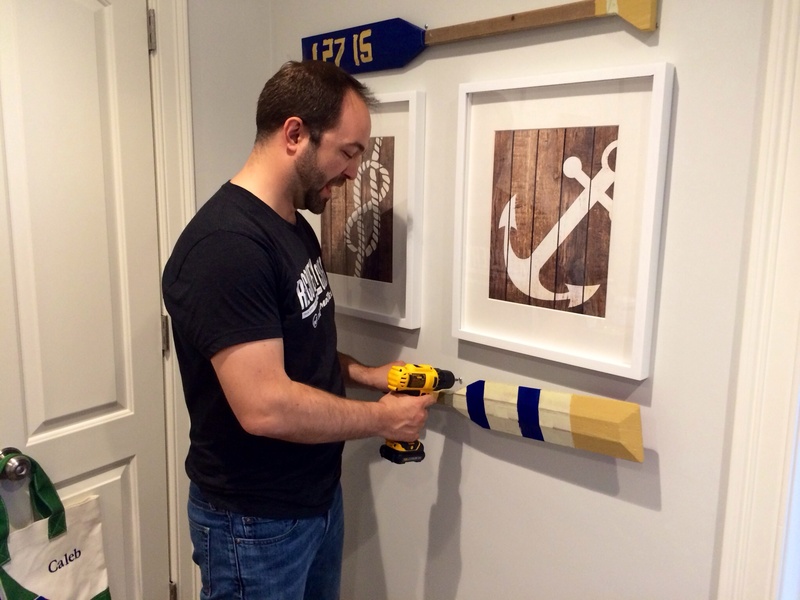 My mom owned two wooden oars that she happily contributed to our decor efforts and with a little navy and yellow paint we were able to match them to the room’s color palette. I painted Caleb’s birthdate onto one of the oars to add a personal touch. Serving as a past crew captain himself (Go Pitt Crew! ), Kristian was happy to figure how to get the oars mounted. 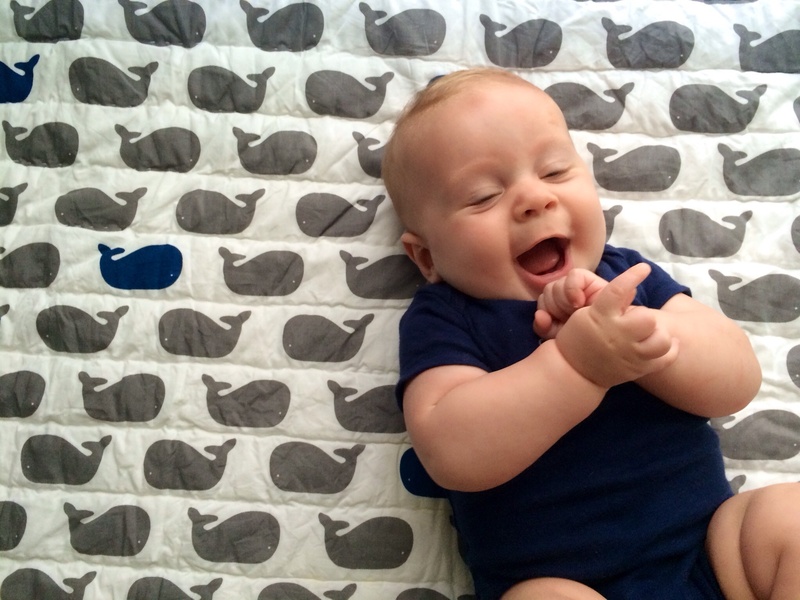 We have the Land of Nod and good friends to thank for the Cap’n’s charming whale bedding, changing pads and accessories. 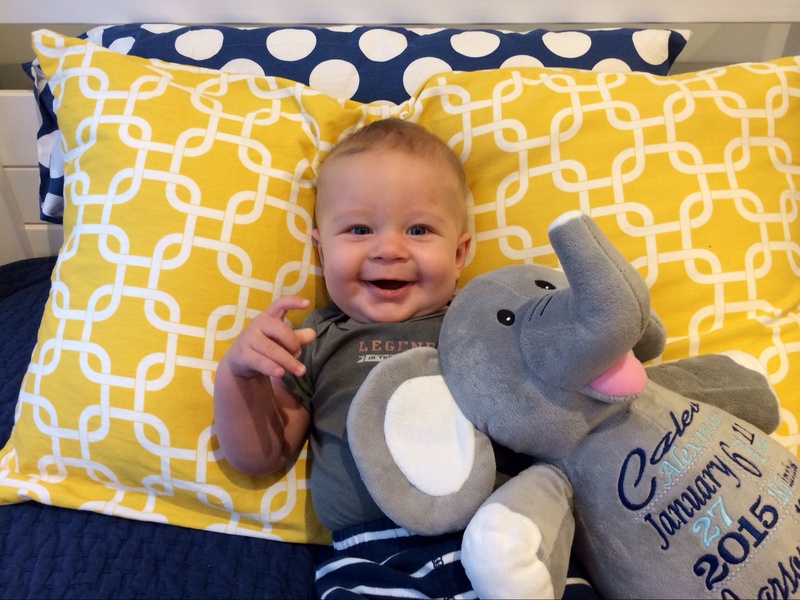 We added some bright yellow graphic pillows from etsy and some special cuddly friends (Thanks Aunt Katie and Uncle Blake) to introduce a diverse mix of patterns. In addition to space being engaging for Caleb, I wanted the nursery to share some Team Pearson stories. 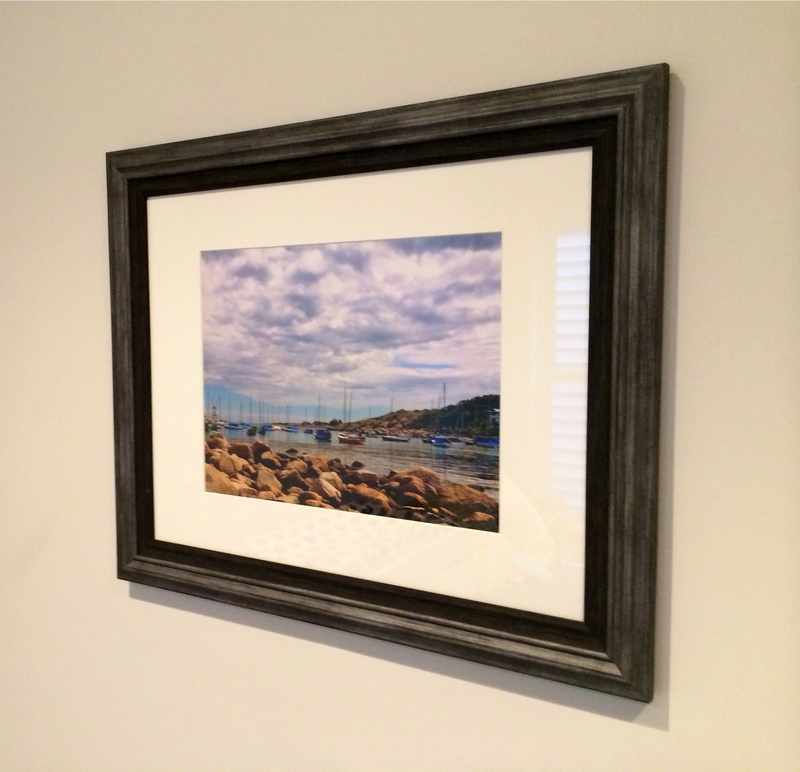 To start, we framed a Rockport photo Kristian took a few years ago. As you all know, we love exploring New England towns and plan to take the Cap’n to all of our favorite locations to enjoy the beautiful beaches, cozy inns AND the lobster rolls of course. 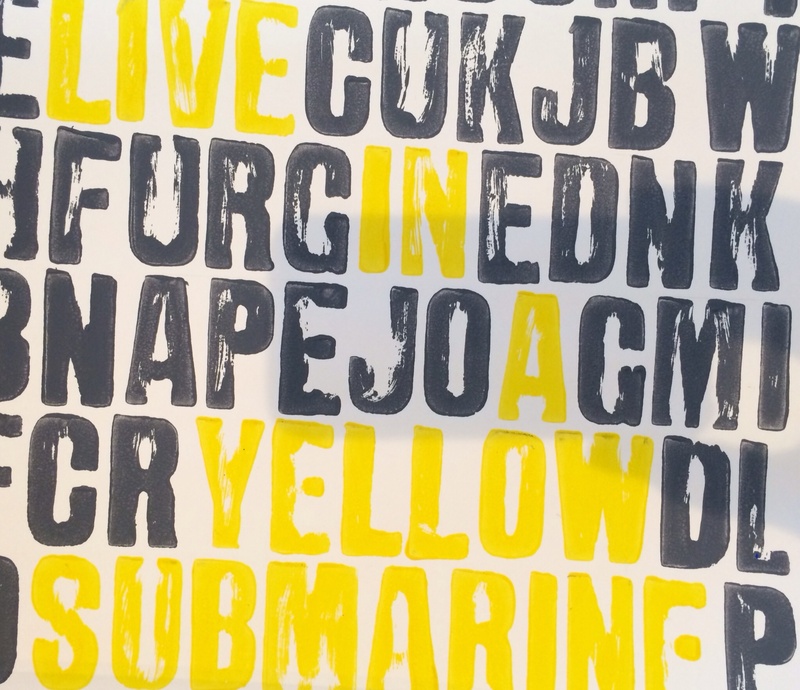 Next, a print of the Beatles’ “We all Live in the Yellow Submarine“ lyrics. When we were in the hospital, I realized I couldn’t remember any lullaby’s so I started singing Caleb some Beatles classics. The Cap’n is already a big fan. 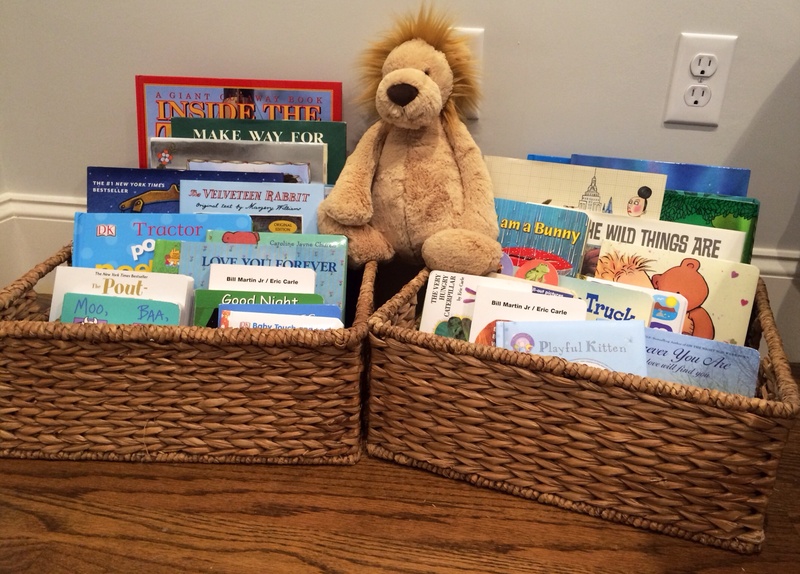 These storage baskets have a great coastal feel and are super convenient when it is time to choose a book for story time. Next step, working in some cool family heirlooms and shelving units. Stay tuned! Posted in Dr. Seuss, Family Matters, Home Sweet Home, MommyhoodTagged baby, decorating, DIY, land of nod, mom, nautical nursery, new momBookmark the permalink. How darling! Can’t wait to meet the Cap’n in person. Love to you all!